Today I'm still gonna show you another summer outfit from Spain. As you can imagine, Spain is a very colorful country and it's not very appropriate to wear only neutral outfits. 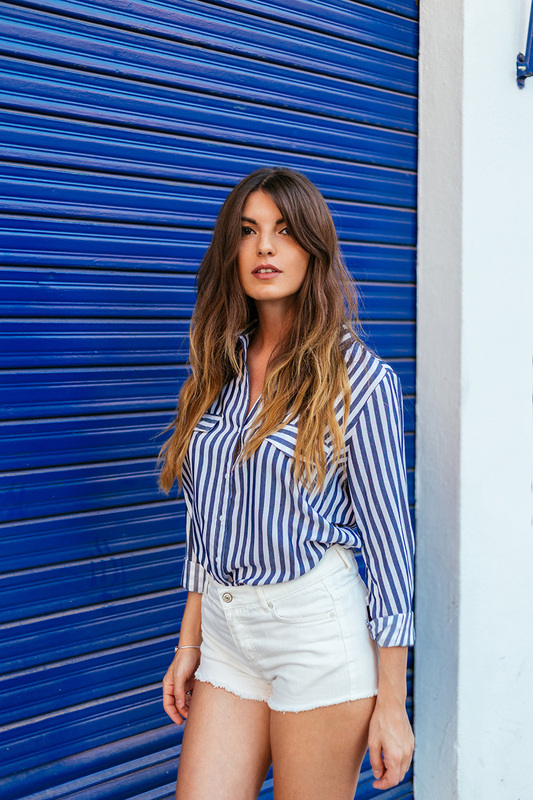 But since I have a parisian soul, I tried to combine my simple french style with a beach look and here is the result: blue and white striped Zara shirt (here) with very simple white shorts from Mango (here). As a location, I choosed this blue background which, I think, is a garage's door, and I liked it quite a lot. Let me know what you think about my change between the city and the beach looks.